This tutorial will cover the techniques to query relationship fields in both directions. The example used will be “Doctors” and “Locations”. 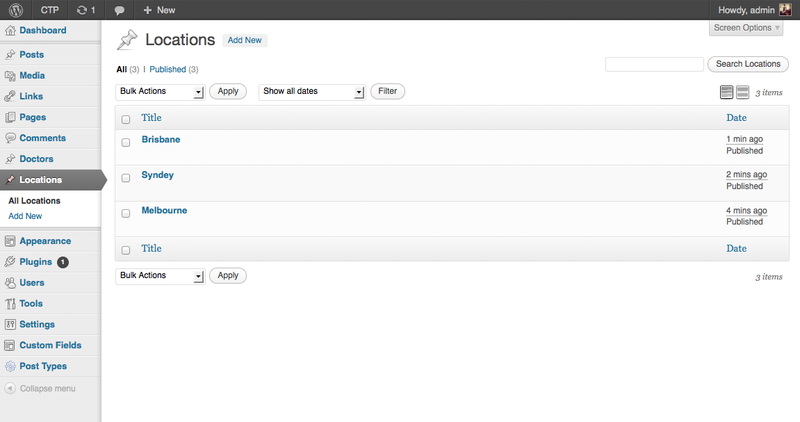 To save time, this tutorial will not cover the setup process for the 2 post types and their custom fields. However, the screenshots bellow show the data we will be working with. 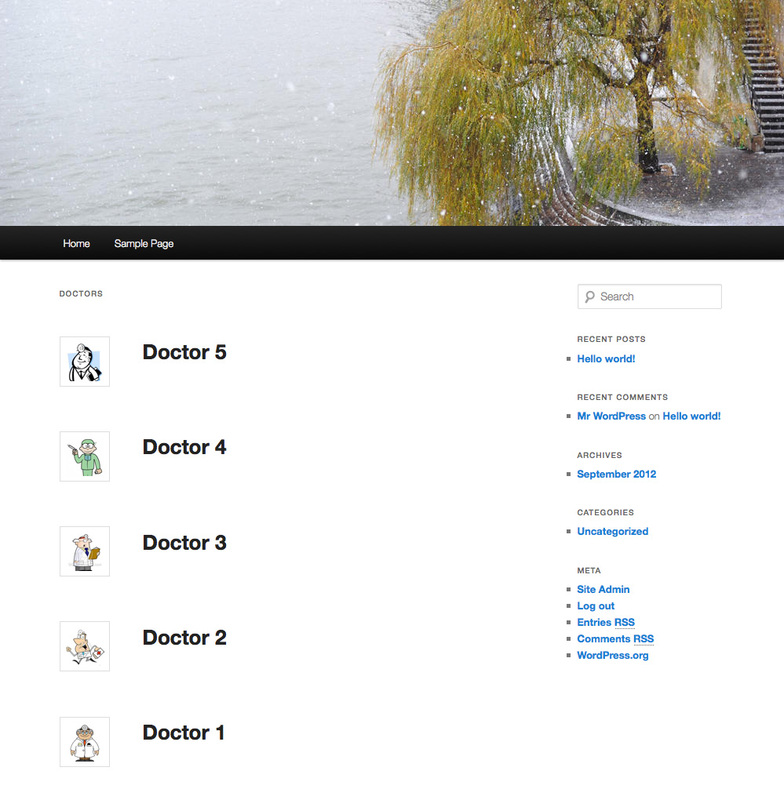 First, we will create a template file in our theme to display all the doctors. This file is called “archive-doctor” and can be viewed by going to the url “http://website.com/?post_type=doctor” or “http://website.com/doctor” depending on your permalink structure. 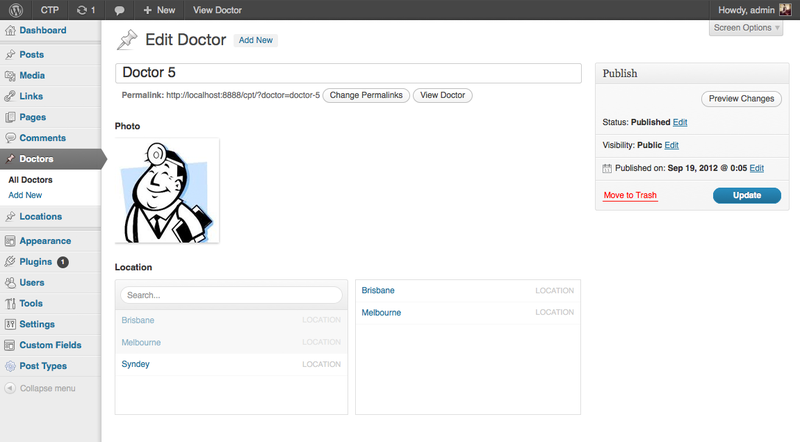 Next, we will create a template file to view each doctor’s information. 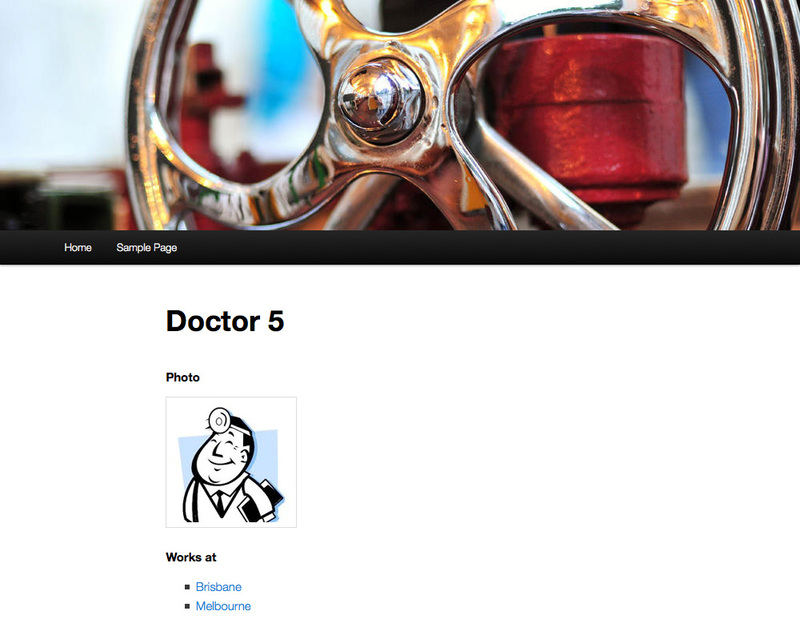 On this template page, we will show links o the locations where this doctor works. * The Template for displaying single posts. 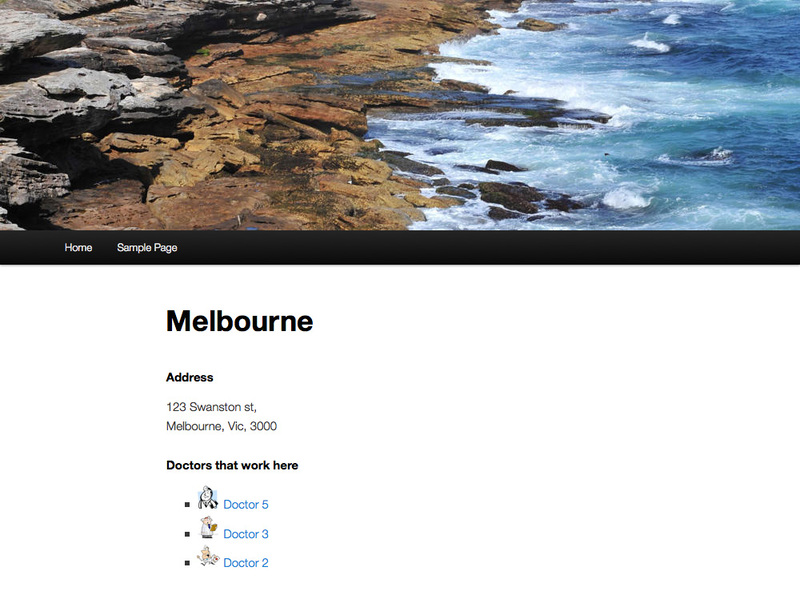 Last but not least, we will create the single location template file (as we can now navigate to this page from a doctor). So far, we have created a simple “forward facing” relationship between locations and doctors. Now we will do the opposite. 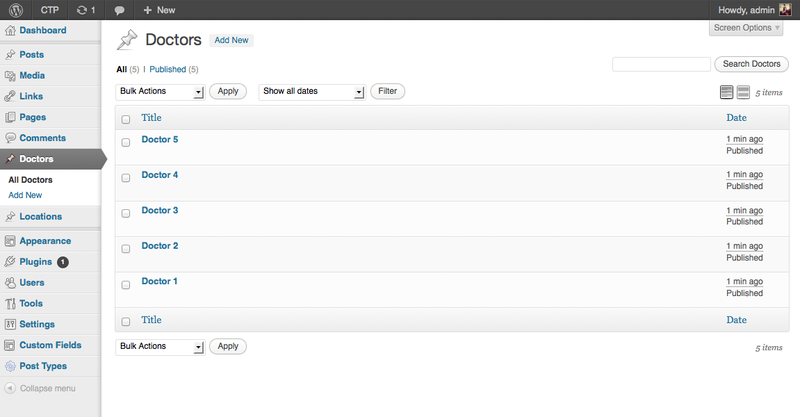 On each location page, we will query the WP database for all the doctors that work in that location. This will be accomplished by using the “get_posts” function. This function makes use of the WP_Query class to fetch posts. See the parameters section of the WP_Query documentation for a list of parameters that this function accepts. *  Query posts for a relationship value. 'value' => '"' . get_the_ID() . '"', // matches exactly "123", not just 123. This prevents a match for "1234"
The above “get_posts” query finds all posts that are of the type “doctor”. 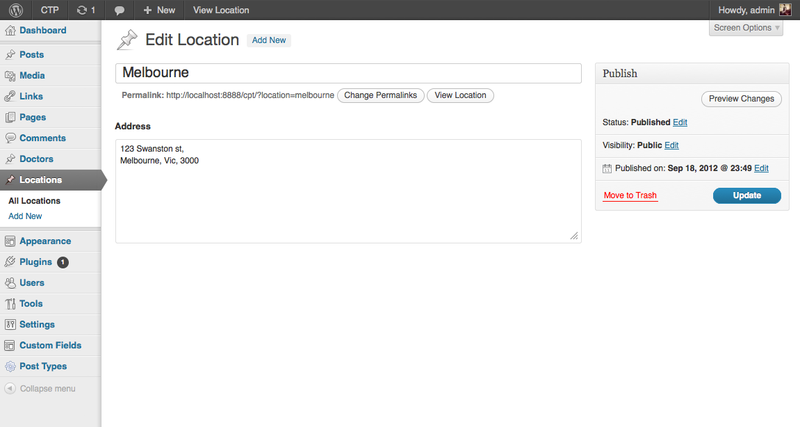 It then finds the “location” custom field for each doctor and runs a LIKE query on the value. This serialized array has 2 values, the first is “35”, the second is “33”. As this is the “location” field for a “doctor”, these 2 numbers must be the ID’s of location post types. In our query, the LIKE value was ‘”‘ . get_the_ID() . ‘”‘, if the location ID was 35 then the LIKE value would become ‘”35″‘. In this case, the query would match against the doctor’s location value (the serialized array shown above) and the doctor will be returned.